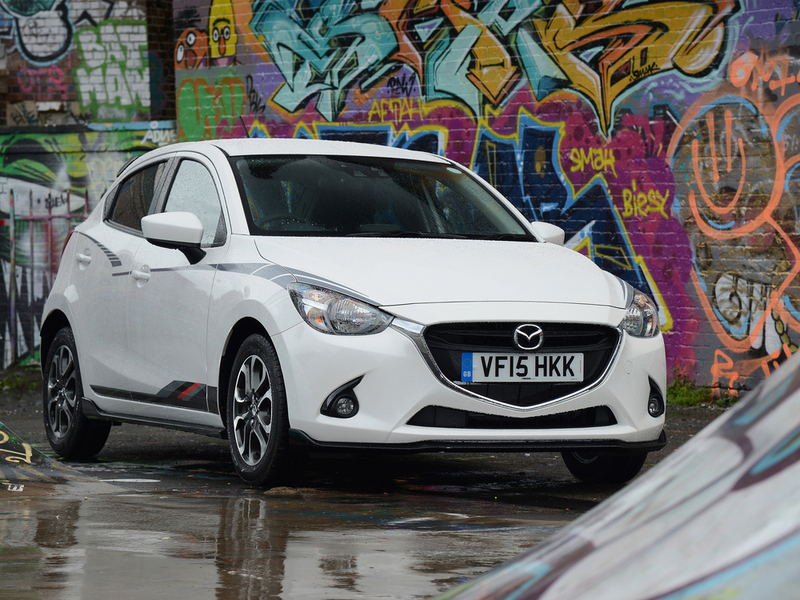 Mazda's supermini range has been boosted with the launch of the all-new Mazda2 Sport Black special edition. With higher levels of standard specification, sporty styling enhancements and the opportunity to personalise your car, the Sport Black is based on the 90ps SE-L Nav model, but with 'subtle styling enhancements'. 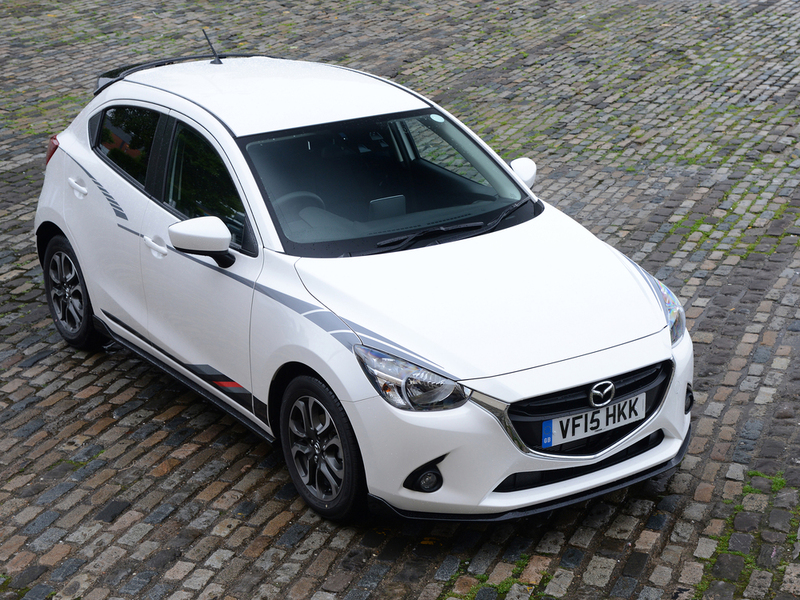 'Brilliant Black' front and side skirts contrast with both the free-of-charge Soul Red Metallic and Snowflake White Pearlescent paint choices, while the Sport Black is further distinguished by its Brilliant Black roof spoiler and chrome exhaust trim. 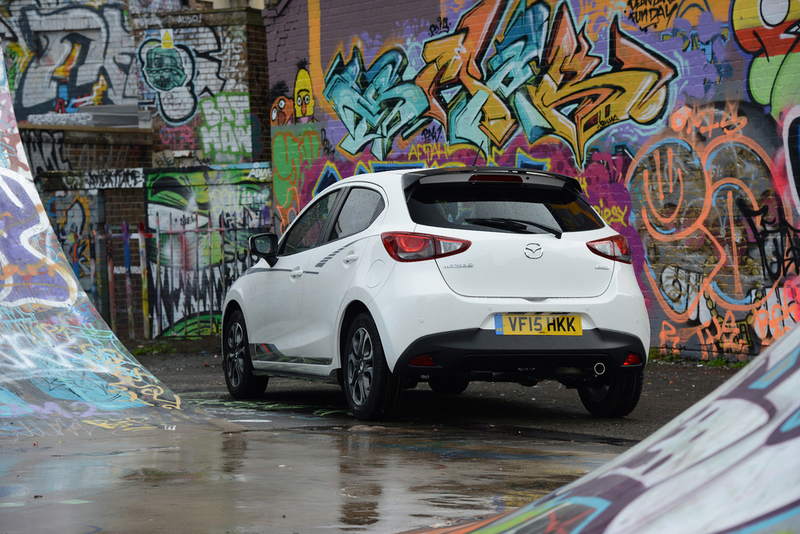 Further customisation options includes exterior graphic designs and contrasting door mirror covers. 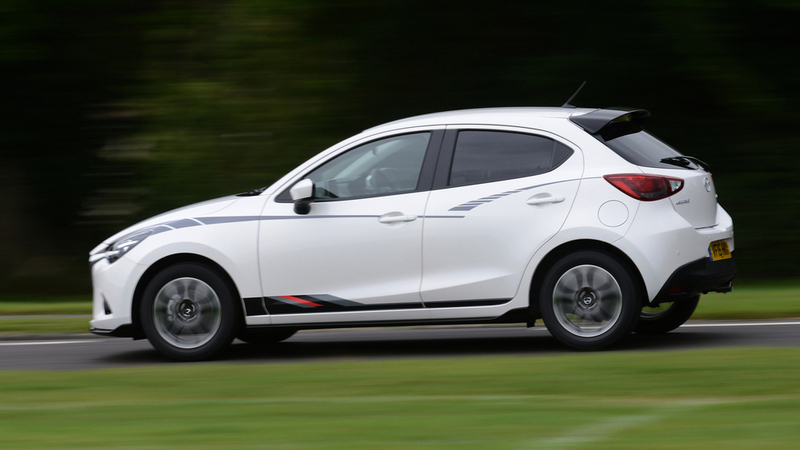 Sweeping from the headlights to the taillights a 'KODO' - Mazda's 'Soul of Motion' design theme - graphic follows the lines of the side profile as they intersect at the centre of the car, while the Race graphic adds sporty stripes low down behind the front wheel. Customers can choose to add either or both of these decals to their Sport Black. In addition to the standard equipment of the SE-L Nav, the Sport Black comes with 16" Gunmetal alloy wheels, rear privacy glass, auto lights, rain-sensing wipers and rear parking sensors. 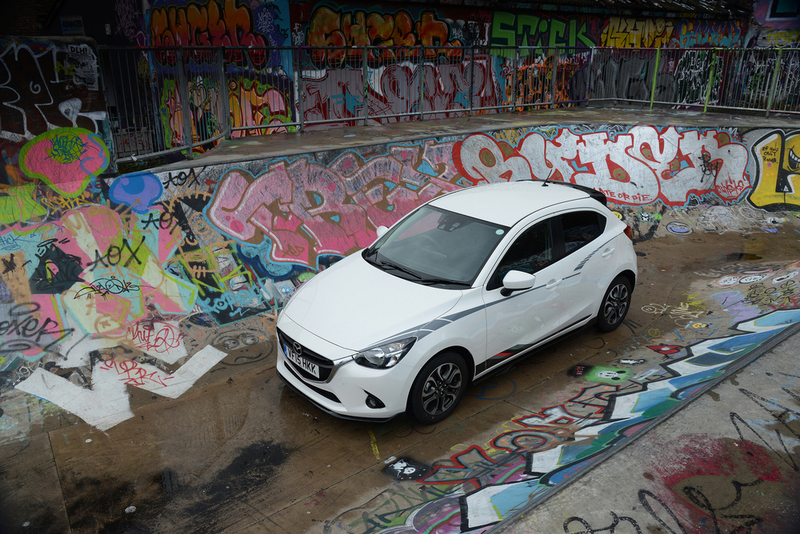 "Thanks to its combination of fun-to-drive handling, stylish looks and generous equipment, the all-new Mazda2 is already winning over UK supermini buyers and our latest special edition model offers even greater value to our customers. 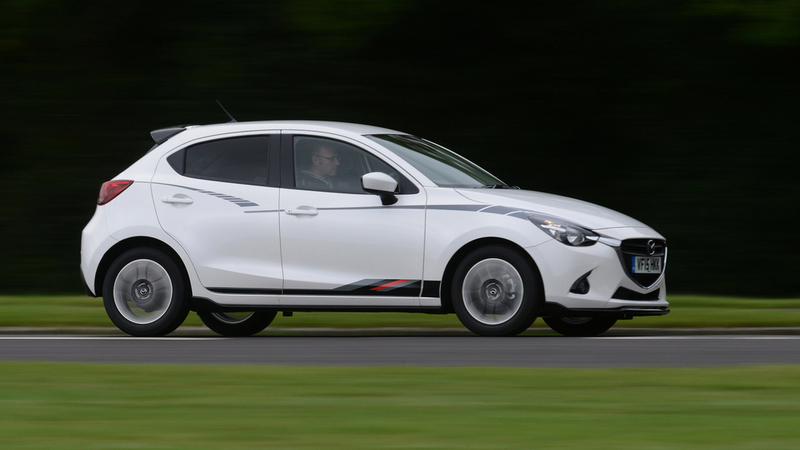 With extra standard equipment, plus striking styling enhancements the all-new Mazda2 Sport Black is sure to be a very popular addition" said Peter Allibon, Sales Director of Mazda Motors UK. 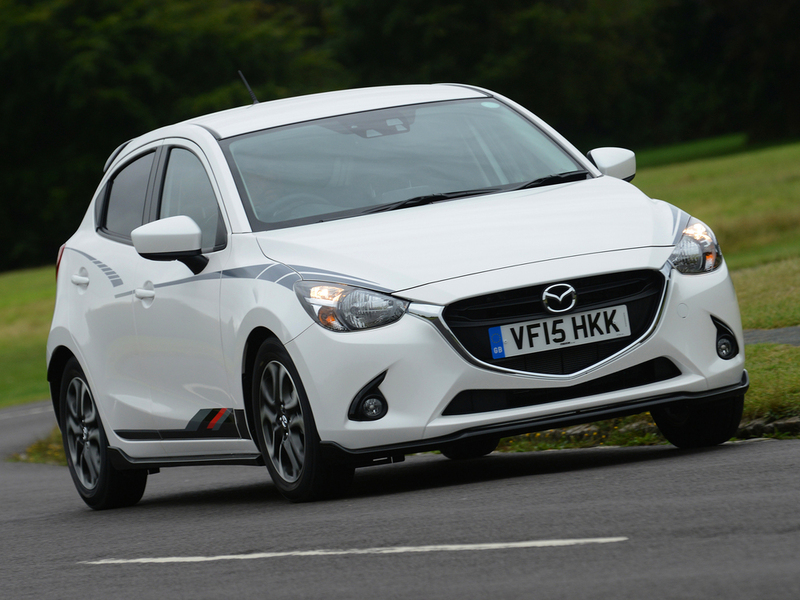 Arriving in dealerships from the 1st September, the Mazda2 Sport Black special edition is priced at £15,395 OTR.